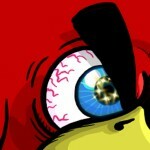 Walkthrough video and strategy for Angry Birds Friends on Facebook Holiday Tournament III Level #5 Week 84. 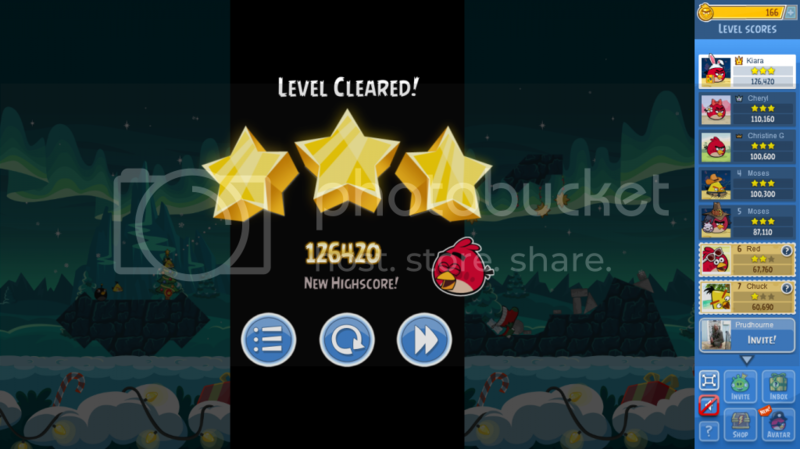 Our non power-up strategy for this level is to fling the Bomb bird into the first pigs on the left. Then send the yellow bird into the top pigs. The score in the video below is 75,100. * Note, this is a special tournament (more info) celebrating the holiday season. 124,250 – if you hit it just so using this strategy, the top right TNT falls and takes out the right side bottom with the help of the lower TNT. Wingman is only needed to clean out the bottom left. A higher score is probably possible since I aimed a little high on the wingman shot. I did the opposite. Black bird below with KS and Jingle Sling for 57K. WM + SS up top where it rolled over the right side destroying some stone below. 71k is 2 stars, 72k is 3 stars. Had a weird/awesome glitch on this one. I hit one pig the wrong way and it’s boots started twitching wildly, then fired across the screen destroying half of the map. 109k, no power-ups and only 2 shots. Black bird hi aiming for the horizontal snow bar but must start falling, then detonate… destroyed all upper level and one hat fall into the center… BOOM all lower, right and hanging stars gone… only left down pig n structure untouched… then full loaded wingman. That BOOM seems produced from the pig’s sky-shoes on the stone sphere… maybe. do u need the xmas tree sling? Yes, because you need an ornament to hit the lower TNT. Its explosion makes the pig’s stockings go spinning and sometimes they go BOOM!